In a big city like Toronto there are endless opportunities for fun and entertainment. No matter what your interests, we’re sure there’s something for you to discover. To really get to know the city, step off the beaten path and take a peek at these unique recommendations. 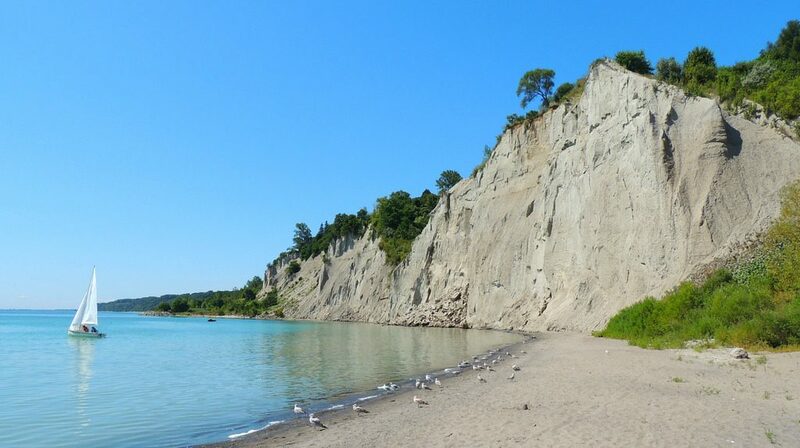 Top Things to Do in Toronto This Summer! Whether you’re a long-time local trying to break your routine, or new in town just making heads and tails of the place, one thing’s for sure: this bustling metropolis is jam packed with exciting programming, beautiful spaces and, of course, all the bars and restaurants your heart desires. Here are the top places to visit, festivities to join, and things to do in Toronto. You might not find these in the guidebooks so get out there and make sure the summer is one to remember! Over the last decade, the dining scene in Toronto has exploded, making it a top foodie destination. Reinventing cuisine and experimenting with atmospheres, Toronto’s chefs are always cooking up something beautiful. It seems that every day a new dining experience awaits! Whatever kind of party you’re looking for, Torontonians love to gather together, celebrate, and savour the summer weather. We’ll get you started with a small sample of the city’s diverse and exciting festival programming. If you love strolling through Toronto, look no further than one of the exciting street festivals happening around the city all summer. There’s Taste of the Danforth for delicious greek eats, Beaches International Jazz Festival for smooth tunes, the spectacular Pride Festival and parade every June, and a gathering for just about every major neighbourhood in the city, such as the Leslieville Food & Drink Festival. With programming this regular, you’ll never run out of things to do in Toronto! If you’re looking for that concentrated surge of musical energy, Toronto has got you covered. It’s home to several epic music festivals that will get you moving and grooving all day (and night) long. The NXNE concert series will take over Downtown Toronto in June, including free all ages shows in Yonge and Dundas Square and a gaming and eSports event, too. If electronic music that makes you want to dance is what you’re seeking, check out Dreams and Veld Music Festival, which will also entice you with a share of hip-hop headliners. You might know about the Toronto International Film Festival, which takes over Toronto’s downtown in September, drawing stars from around the globe, but there’s a lot more going on in Toronto’s film festival scene. 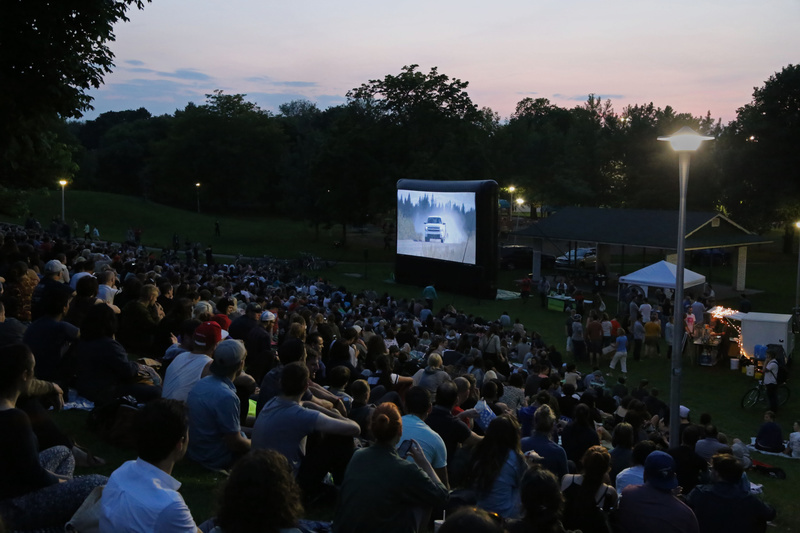 Check out the Open Roof Festival for a night of outdoor cinema, music and beer, or the Christie Pits Film Festival for a free movie in the fresh air. Both are smaller film festivals organized by locals aiming to spice up your Netflix and chill routine. Inside Out LGBT Film Festival also packs a punch and tells stories often missing from the conversation. We’ve covered music, food and film, but Toronto is ripe with arts festivals, too. The biggest is Luminato, running for a couple weeks in June every year. Experience dance, music, theatre, film, see new ideas and more from around the world. Then, witness visionary photography in exhibitions around the city with the Scotiabank CONTACT Photography Festival. And don’t miss Nuit Blanche, the all night public art extravaganza that takes over for one night in the fall. This little downtown neighbourhood is packed full of incredible things to do. Thanks to the area’s diversity, there is such a wide range of incredible foods to try. Check out specialty shops like Blackbird Baking Co or pick from a selection delicious restaurants. With spots like Pow Wow Cafe or Jamaican Italian fusion takeout place Rasta Pasta, there’s something for every background and price point. Learn more about Kensington Market, an area that is best taken on by foot, and knows it. Every month in the summer the area hosts Pedestrian Sundays, closing the streets off to cars and opening them up to the public. It’s one of the best spots in Toronto to celebrate out-of-the-box self expression. With so many bars to choose from in the city, its hard to know where to go. Try bar hopping along College Street in Little Italy, or check out our selections below. If you want to get outside, the city is full of spectacular urban parks some of which offer a real retreat from the city. You don’t need a car to get to these green oases – perfect for exploring on foot or on a bike. Put your body to the test with some more extreme activities. Check out Basecamp Climbing for a full body workout, a lot of fun, and the biggest sense of success when you reach the top of the rock wall. Or, compete with your friends more directly at Sgt Splatter’s Paintball as you go undercover in their epic 2 story facility, complete with abandoned cars and vehicles. If you’re itching to get on the water, why not try kiteboarding lessons with the Toronto Kite Club, which offers discounts if you go with a small group. For a more affordable urban adventure try cycling a cross the city on the Martin Goodman Waterfront Trail. You can rent bikes at Wheel Excitement Inc, if you need. The latest in Toronto dining trends, food halls have started popping up around the city. Even more are set to open in the following year. They’re kind of like a food court, offering a wide selection of food in a single space, but with more refinement and taste, it adds up to a single spectacular culinary vision. 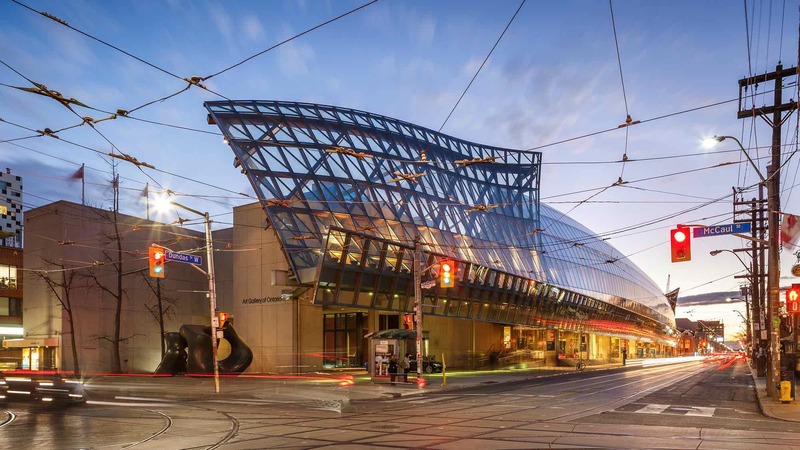 The exhibits featured at these museums are unbeatable for any lover of culture who finds themselves looking for things to do in Toronto. Toronto is absolutely full of beautiful cafes. Whether you want to curl up with a book, get some work done, hang out with friends or just grab a cup of joe to go. Dineen, Balzac’s and Jimmy’s Coffee are all staples of Toronto’s cafe culture while Boxcar Social and Odin will serve you more than just coffee. They have food and drinks, too. For a brand new modern coffee experience, check out Milky’s Coffee. They don’t have a lot in terms of seating, but their unique specialty drinks and amazing coffee are perfect for sipping at a local park or while exploring the neighbouring streets. Wherever you are in the city, though, there’s surely a cool spot just around the corner waiting to be discovered. Brewpubs have been taking over the city as more and more people are keen to try new and exciting brews. Nothing screams ‘local’ like beer brewed right where you’re drinking it. Plus, you can be sure Toronto’s brewers love to experiment! First, you’ll have to hit the park, and then go explore the surrounding area too! Pick up a couple beers at Bellwoods Brewery, pack a picnic, and sit in the park’s lush grass. It’s sure to be a nice, relaxing summer afternoon. The Trinity Bellwoods area is full of some of the coolest, most creative people in the city. This makes the park a great spot for people watching, or even dog watching at the Dog Bowl! Now, these are spots where you’ll really prefect your palate and even getting drunk can be a stylish endeavour, one of our favourite things to do in Toronto. For full listings including broadway performances check out the guide from Toronto Theatre, or be more adventurous with one of these unique theatrical experiences. And of course, while you’re downtown, its worth taking a peek at the destinations that Toronto’s known for. Try the iconic peameal bacon sandwich from Carousel Bakery as you shop around for local meat an cheese in the St. Lawrence Market. Just nearby is the Distillery District. Head over to discover a pedestrian village full of art, culture and history – you can read our guide here. Or, dive into the Ripley’s Aquarium and walk through the Dangerous Lagoon where sharks and rays swim over your head. You might even want to… visit the CN Tower! Test your fear factor on its newest adventure: the EdgeWalk. Here’s our complete list of the best attractions, they’re not just for tourists, we promise! 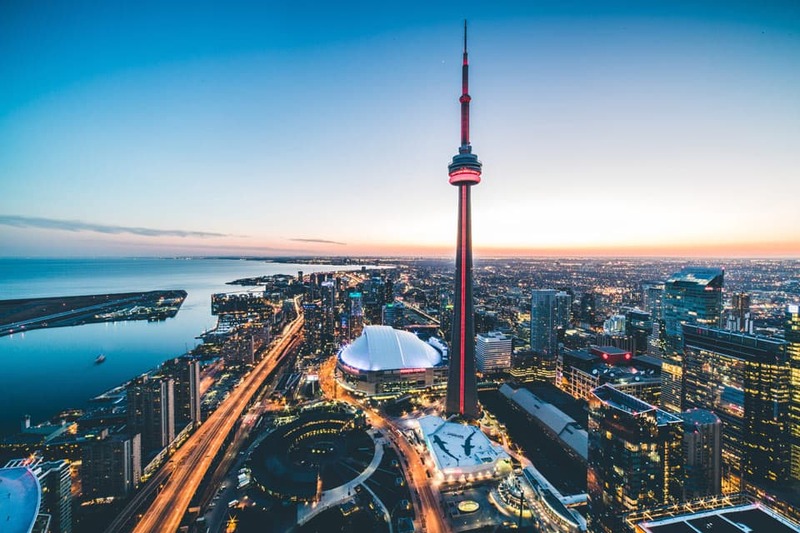 If you’re looking for more things to do in Toronto, check out these top downtown restaurants, get a little bit of guidance from a walking tour, and take a look at our list of guides for even more inspiration!